We here at Kotaku are big fans of the High School death game/courtroom drama of Danganronpa. But the two games out right now are not the whole story. There is also a duology of prequel light novels called Danganronpa Zero. And if you enjoyed either of the games even a little, you really must read them. The main viewpoint character for Danganronpa Zero is Ryoko Otonashi. After a mysterious accident, she has complete amnesia and, coupled with that, is unable to form new long-term memories (similar to Christopher Nolan's Memento). Thus, she carries around with her a diary to serve as her memory. There is, however, one thing she remembers without the diary: the name Yasuke Matsuda. While she can't remember his face, her heart speeds up whenever she thinks about the name or sees him in the flesh—letting her know he is the man she loves. Ryoko is an especially interesting character to follow. She knows very little of the overall situation of what is taking place at her school—and doesn't care to learn more. She is self-centered to an absurd extreme as a side effect of her condition. To her, it is simple: You can't miss what you don't remember and the only thing worth remembering is Yasuke. Moreover, even after learning the plot’s major revelations, she is prone to forget them unless she has written down the information—and someone then prompts her to read it. Thus, mid-escape or while performing a frantic search, she'll forget where she is and what she is doing—and the resulting danger serves as a great way to draw the reader into the action. Luckily, thanks to her—more than a little ironic—“Ultimate” ability or the help of unremembered friends, she is usually still able to triumph. Through Ryoko's viewpoint, we get to see a bit of the normal—and not so normal—school life at Hope's Peak Academy in the months before the world falls into despair. But she is not the only viewpoint character. We also see through the eyes of Yasuke, the young “Ultimate Detective” Kirigiri, and the school's headmaster. This gives us a pretty clear view of the events that lead to Danganronpa and how the school board's foolishness allowed it to all come to pass. It also has more than a few links to Danganronpa 2, though none that are outright spoilers to that game's central mysteries. In other words, Danganronpa Zero does a great job of fleshing out the larger world in which the games’ stories take place. But better still, it manages to do this while still focusing on an original and intriguing mystery of its own. Junko Enoshima is, arguably, the single most important and complex character in Danganronpa. She is also the character with whom you directly spend the least amount of time. Even when you face her in person, her personality and mannerisms change sporadically from moment to moment. Thus she is a character that is very hard to get a grip on. Even in the end, it’s hard to tell if she really believes what she is saying, if it’s all just an act, or if she is just simply insane. In Danganronpa Zero, however, we are granted a look into the inner workings of her mind as she serves as the viewpoint character for a few impressively illuminating chapters. Also, her constant encounters with Ryoko—and how she toys with the amnesic girl—tell a lot about the character. By the end of the books, we even get to learn a few bits about her childhood and what she was like at that time. All this serves to paint a portrait of a killer and mastermind on the level with Nolan's Joker. Instead of an agent of chaos, though, this one is an agent of despair in every sense of the word. The two novels also add in some new interesting “Ultimate” students. There is the “Ultimate Bodyguard,” the “Ultimate Spy,” and the “Ultimate Neurosurgeon.” Watching these personalities collide with Ryoko, Junko Enoshima, and characters from the first Danganronpa like Mukuro Ikusaba, Kirigiri, and Naegi makes for a colorful cast that's always fun to watch. As you are likely able to guess from playing Danaganronpa, there is at least one major plot twist in Danganronpa Zero. And what a twist it is. It is one of those that makes the entirety of both books worth re-reading so as to pick up on all the hints and double meanings strewn throughout. Through a second reading, you might also glean some previously missed nuances of several key characters, further developing both the novel's independent story and that of the franchise's world overall. If you have enjoyed either Danganronpa or Danganronpa 2, Danganronpa Zero is a must read. It is a great mystery with an excellently realized protagonist. 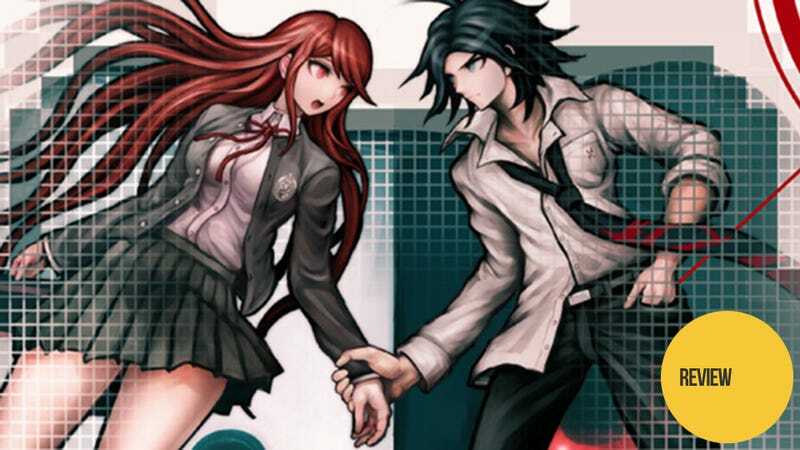 Moreover, it fleshes out the world before the events of Danganronpa and shows a bit more about how one school and one girl could throw the entire planet into despair-induced chaos. Really, if you are a fan of the Danganronpa series, drop everything and read this duology. And if you're not a fan yet—well, grab the first game on your Vita and get to playing. Danganronpa Zero was released in Japan in 2011. It has not received an official English language release. However, numerous fan-translations exist online.